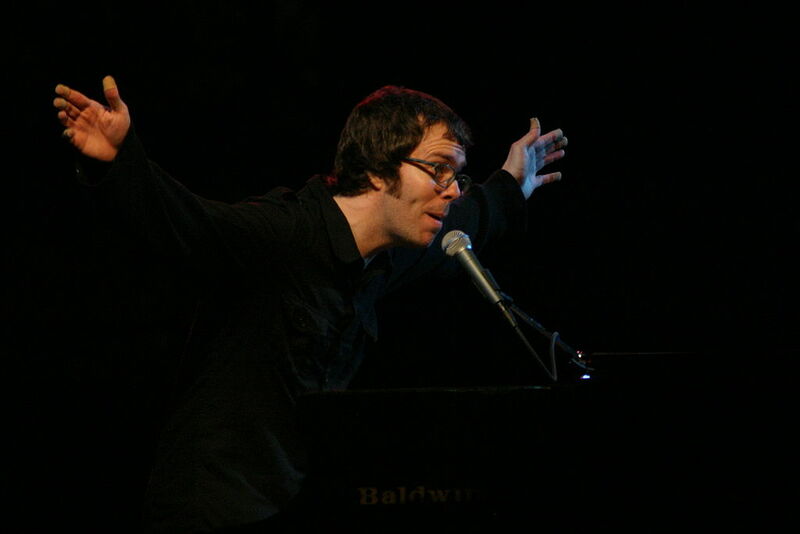 [vc_row][vc_column][vc_column_text]You may have recently watched a viral video of Ben Folds improvising a work with the National Symphony Orchestra. It’s rather impressive and demonstrates a host of skill sets, not just by Ben, but by the entire orchestra. To create something new on the spot like this takes knowledge and talent. While Ben is calling the shots, it’s a team effort. These musicians have put in a lifetime of practice to get to this level. Let’s unpack what you are seeing in this short video; there is A LOT going on. 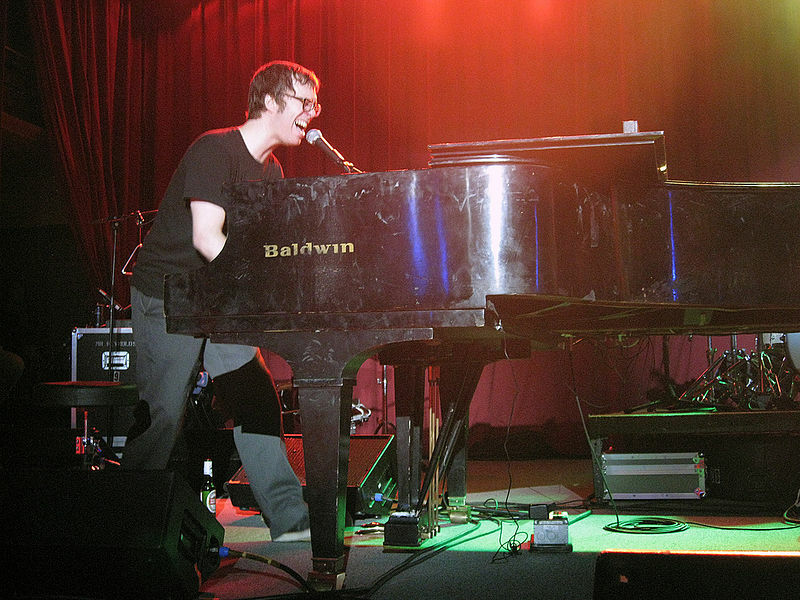 Ben Folds doing what he does best – singing his head off! The next choice the audience makes for Ben and the NSO is the general tempo. Tempo can really affect the mood of a piece of music. Give the choice of a ballad (generally slow) or something upbeat, the audience (nearly unanimously) selects upbeat, indicating a faster speed. Ben is a song writer, so they needed a text. The audience is asked to find an interesting bit of text from the evening’s program booklet. Ben sits at the keyboard and readies himself to create something entirely new. This is amazing when it happens by yourself as a composer – when you find that right sound and jot it down on staff paper or on the computer. It’s another level of awesomeness when you do it with 50 other people in real time. Be fore he gets started, he makes a wonderful musical joke, invoking Beethoven. He asks, “It has to be something completely new, right?” Without missing a beat, he mimics (although incorrectly – but we’ll forgive him) the main motive of Beethoven’s Symphony No. 5. Next, Ben moves on to the reed section and suggests a “one size fits all” accompaniment figure for them. he then, like composers do ALL THE TIME while composing (one of my teachers used to say that there is no good writing, only good rewriting), decides to just give a harmony figure to the clarinets. You’ll note he uses the term “concert” G and E. This is too complicated to explain in detail, but some instruments, clarinets among them, transpose. This means that they might play a written A, but it sounds a “concert” G. Don’t worry about it too much! Moving on to the rest of strings, he improvises parts for both the first and second violins – slow moving notes in harmony. Not wanting to leave the violas out in the rain, he gives them what he calls a “little timing shizzle.” He gives them what is best described as a rhythmic ostinato – a pattern that repeats over and over. It’s also syncopated, meaning it happens on the off beat. You’ll feel it. He then turns to the double basses and says “You know what you must do.” Their repeated quarter note figures on the lowest note of the harmony are sort of a bass line trope and why the audience (and the basses) laugh. And with that, away they go. You’ll note in the final video that some instruments Ben never mentioned play – the horns in F are an example. These are top shelf artists. They know how to join the fun with the information Ben has provided. He set out to create something new in ten minutes, and that’s exactly what he did. Just shy of the ten minute mark he completes his instructions and the conductor counts everyone in. Ben riffs a melody on text from the program book and eventually gets to the selected text. The act of creation isn’t complete until the music is delivered to an audience. The fun part about this compositional process? The audience was there to see it unfold before hearing the final product. That mad it even more special. Listen to the end result – its a lot of fun to experience the new song after watching it be built from nothing by a room full of classical musicians, lead by one of the most talented singer-songwriters of our time. [/vc_column_text][vc_video link=”https://vimeo.com/226351404″][/vc_column][/vc_row][vc_row][vc_column][vc_column_text]Ben demonstrates the joys of creating original music and improvisation, and he does so with four chords, a room full of incredibly talented orchestral players, and the words from a program book. The truth is, with just a little bit of knowledge, anyone can write a song, and it expresses who you are in a way that mere words just can’t. I’ve taught lots of students over the years, and one of my most special memories is teaching a brother and sister (ages 8 and 11) how to write a song during a summer program. We had so much fun coming up with words and a melody. It was rewarding for all of us. [vc_row][vc_column][vc_column_text]Any parent who’s been attending Kindermusik classes for even a short period of time quickly realizes just how enjoyable and powerful singing, dancing, playing, exploring, and making music can be – not just for their child, but also for them! 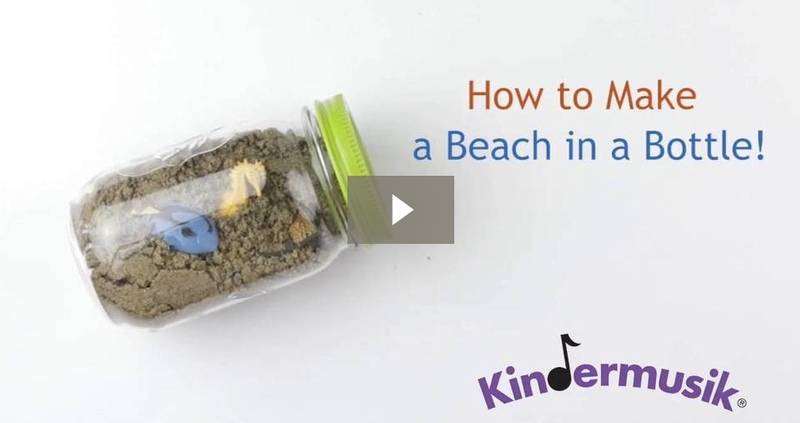 It’s no surprise then, that Kindermusik Educators are often asked for ideas about how to include more music into daily routines at home during the week in between classes. With nearly 40 years of research and wisdom backing us, we’re always thrilled to share some ideas. 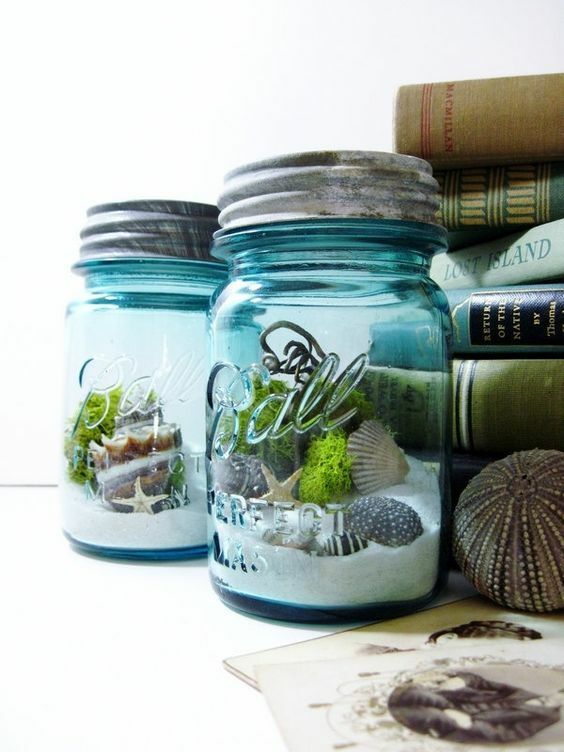 Here are a few of those best ideas compiled here for you! Tip #1 – Sing, sing, sing! 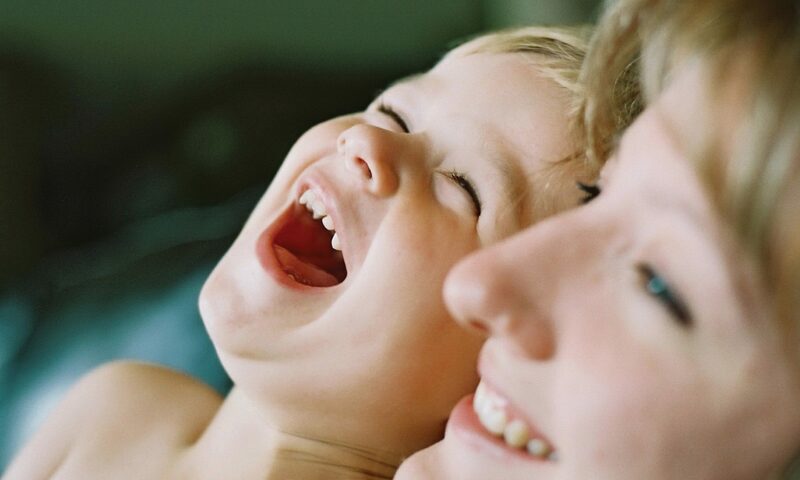 The most beautiful sound in the world to your child is your voice, whether you think anyone else would agree or not. Over time, you’ll have an entire repertoire from your Kindermusik classes, and you’ll even get skilled at making up your own words for a new verse or two! 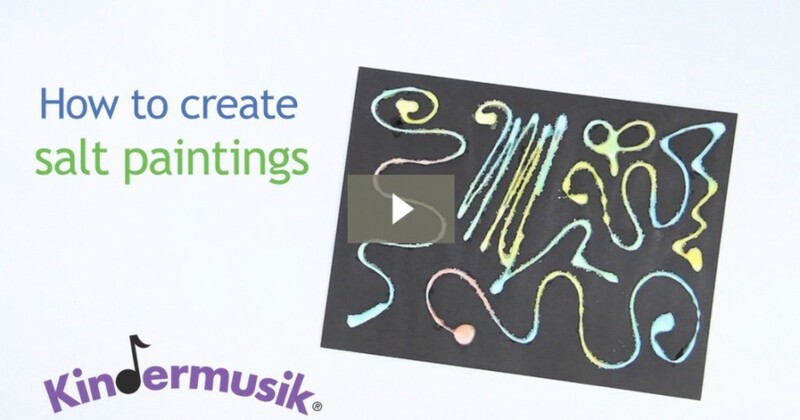 Create playlists or simply let the music stream – in the playroom, in the car, before naps, and before bedtime. It’s really amazing to watch as your child starts to tune in to sounds of instruments (even naming them! ), hums or sings along, breaks out into a spontaneous happy dance, or develops strong opinions about favorite types of music. One of our Baby Bags! 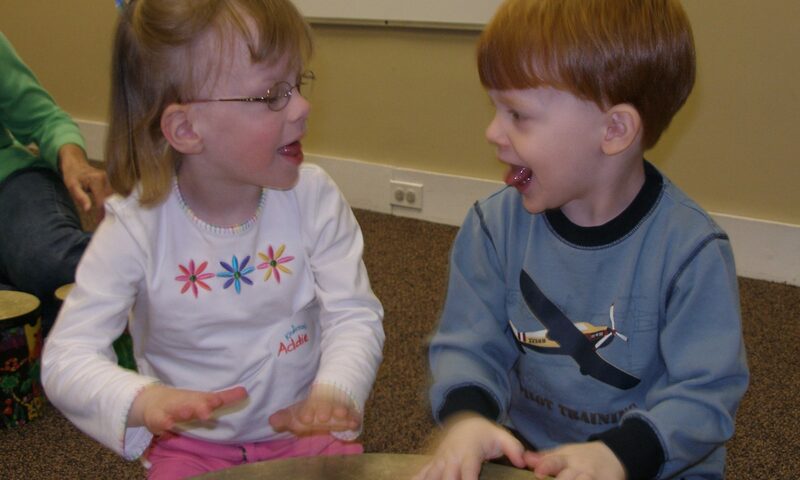 Start off with the basics – egg shakers, bells, and drums – then add other age-appropriate instruments along the way. We recommend keeping your instruments separate from your toys, so that even from an early age, children are learning how to listen, handle, and explore the instruments with focus, care, and creativity. With you there to support and engage, exploring instruments is an especially delightful learning and play activity. 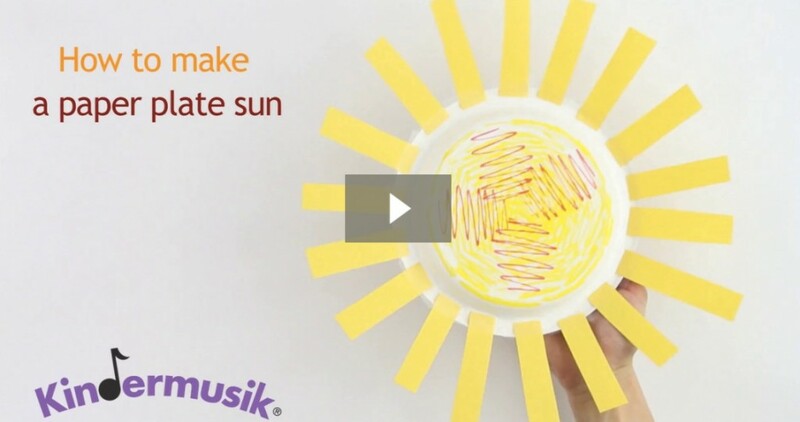 This is a fun, rainy day activity that will keep your child occupied, both as you are making the instrument together and later, as he enjoys exploring and playing with the instrument. Two simple ideas to get you started are making homemade ankle bells or even a homemade guiro. 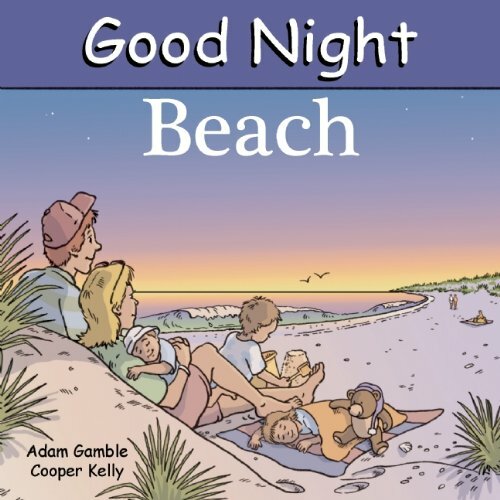 Many parents tell us that there are one or two of our Quiet Time lullabies that really touch them and their children. Learn the words so you can sing those lullabies at home, whether at those times when your child needs a calming moment, a close cuddle, or back rub and song while she falls asleep. 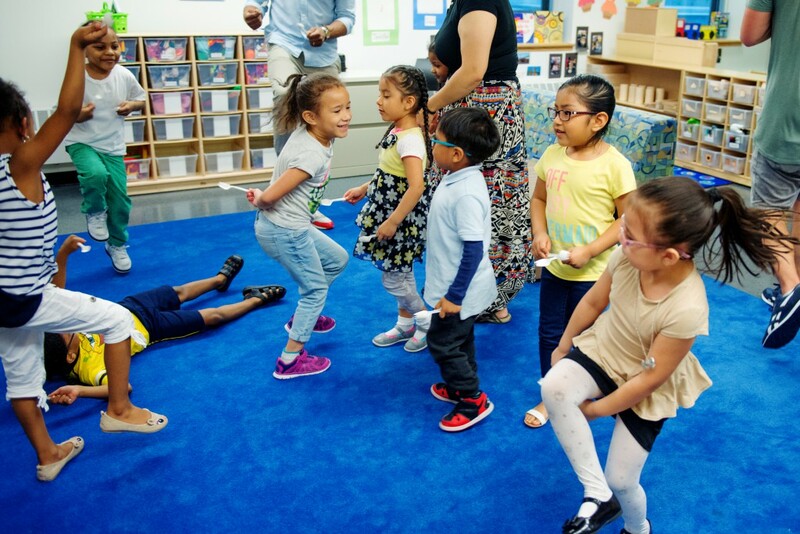 Tears quickly turn into giggles and smiles as you waltz and twirl around the room together, either to a song you hum or a favorite recording from Kindermusik class. The type of music you choose can fit the need of the moment. For example, if your child is fussy and needing your attention, cuddle up for a gentle waltz. 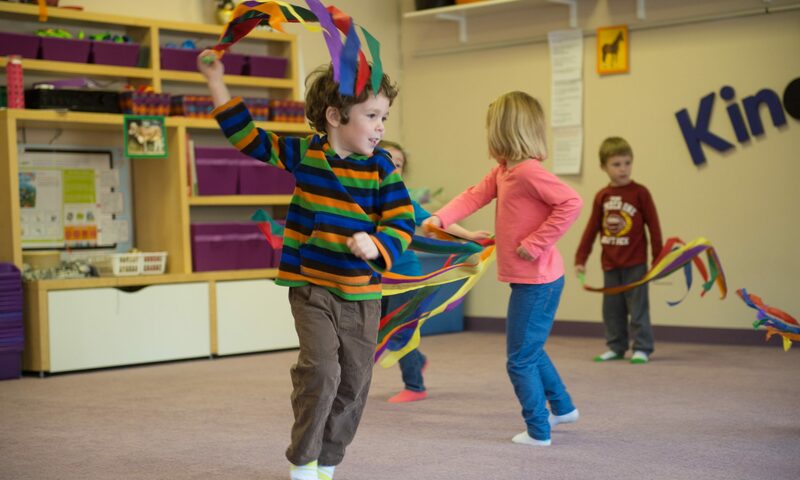 If your little one is bouncing off the walls, go for a lively jig. 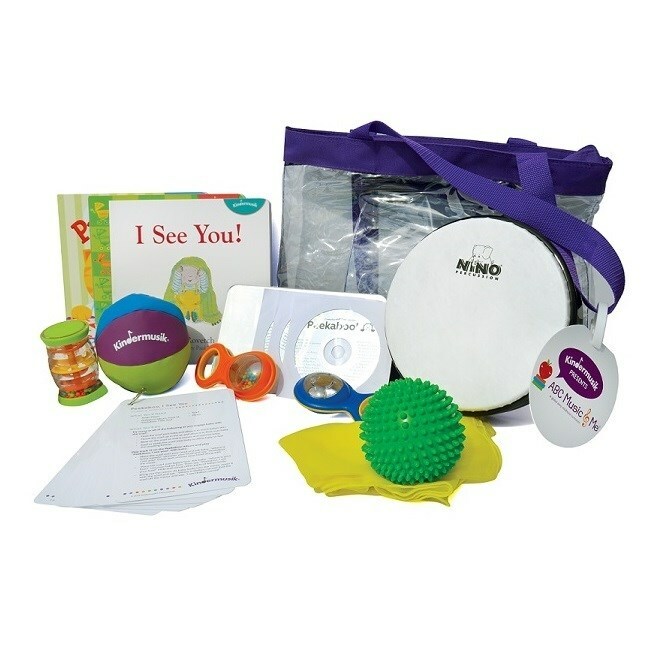 Chock-full of ideas and inspiration for you and engaging musical play for your child, your Kindermusik Home Materials are one of your best go-to resources not only for enhancing your overall Kindermusik experience, but for providing hours of learning, engagement, and interactive play at home during the week. 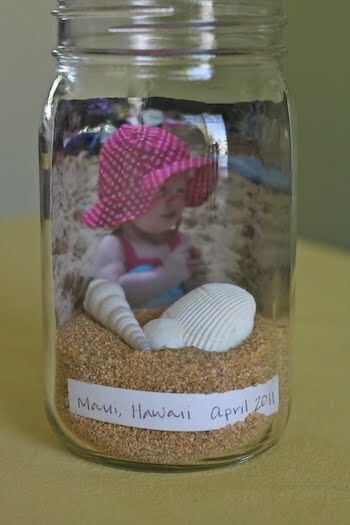 These are simple ideas that are oh-so-easy to incorporate either spontaneously or as a planned part of your child’s day. Without a doubt, music really can make your “everyday” moments a little happier, a little sweeter, and a little easier! Shared by Theresa Case whose award-winning Kindermusik program at Piano Central Studios in Greenville, South Carolina has been bringing joy to families for over 20 years now. 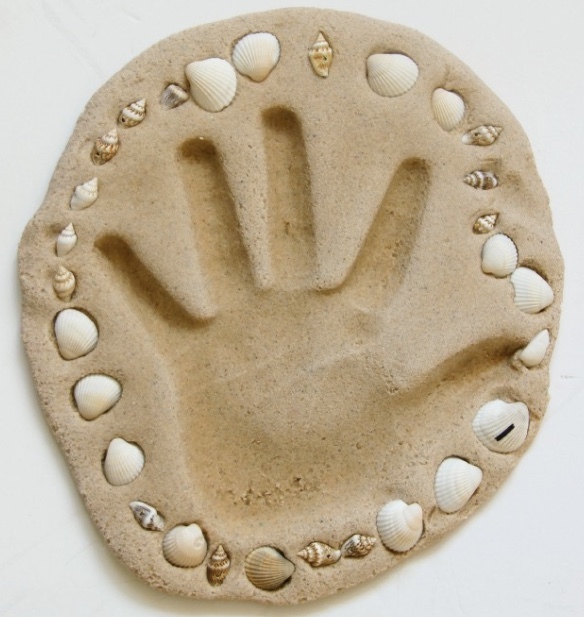 One Mother’s Day, my boys and I cooked up a special gift. We bought a sweater – a simple sweater in a color we knew their mom would love. We then took a picture of the boys hugging the sweater, wrote a little poem, and boxed everything up. 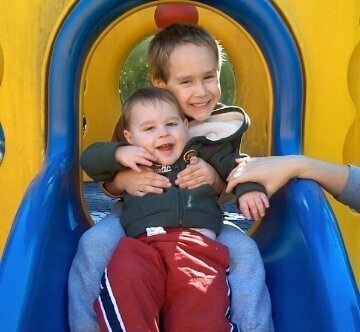 The idea was this – anytime my wife wore the sweater she’d be constantly receiving hugs from our boys. It was a big hit! Make a Mix CD for the Car! Music and Movement – a Mother’s Day Dance Off! Who can dance like their favorite animal the best? Who can dance with only their face? Can you only dance with your legs and not move your upper body? Who can dance the longest without smiling? We’ve done this before. While you’re eating, when you’d normally have wonderful family conversation, sing instead of talking! This is easier than it sounds. Think about Will Ferrell in Elf...everyone can sing. If you can speak, you can make up a tune for that sentence. Believe me, it’s a woot. 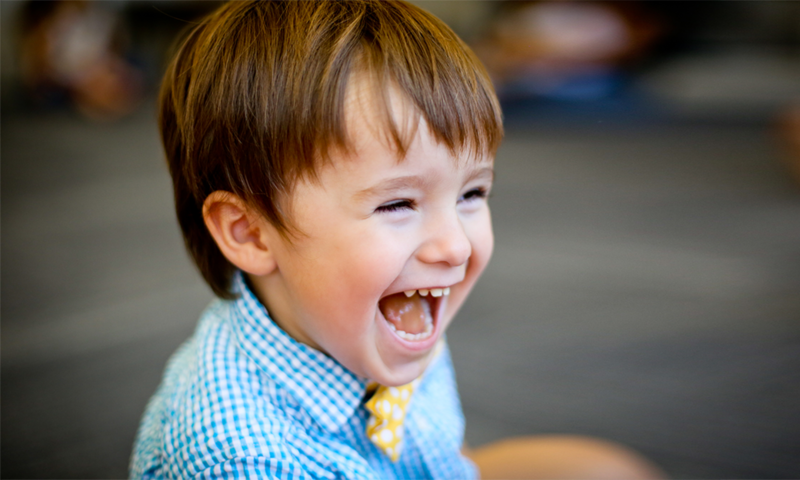 You’ll have a hard time not giggling as your conversation and melodic speaking develops. 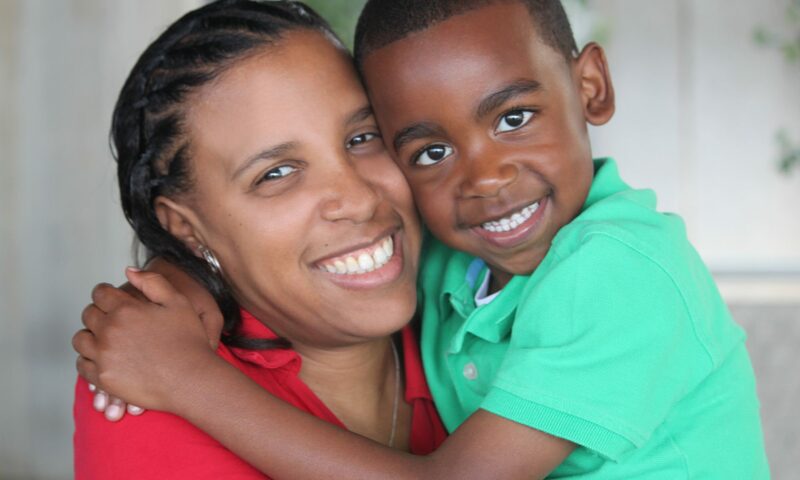 [/vc_column_text][vc_video link=”https://www.youtube.com/watch?v=3Eto6DU_2oI”][/vc_column][/vc_row][vc_row][vc_column][vc_column_text]However you celebrate Mom, the most important part is time together. She’ll love whatever you do if it’s done from the heart. Have fun infusing music into the day…and if you do Dinner Time Opera, record it. We’d love to include a video or two in a future post! [vc_row][vc_column][vc_column_text]Hello friends! The summer months roll onward and this Sunday is Father’s Day. We’re going to give you a list of fun activities for the day, but first, a story. 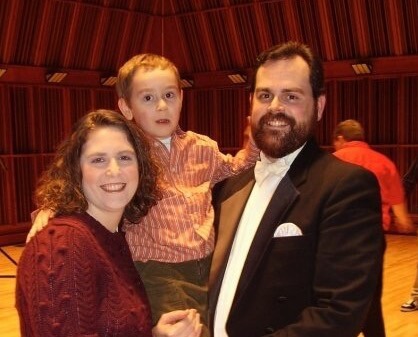 I wear lots of hats – blog editor, professor, conductor – but the one I am most proud of is father. I remember being scared during my wife’s pregnancy; my mind filled with all kinds of scenarios – parenting tests that I would obviously fail. What if I fed the baby too much? What if I couldn’t calm the baby down? What if I DROPPED the baby? That last one haunted me. For a while, as silly as this sounds, it kept me up at night. I AM GOING TO DROP THAT KID. That instant love had actually intensified the fear. The doctor wasn’t stopping; he continued his approach with a wide smile on his face. Couldn’t he tell I was absolutely panicked? Why, oh why, wasn’t he stopping? It seemed as if this powerful love I was feeling brought high-def focus to the image of dropping that swaddled bundle on the faux-wood floor of the delivery room. I could feel myself shaking. I managed a little smirk, trying so hard to mask my terror. I imagined a newspaper floating through the air (like in cheesy movies) with this headline: LOCAL FATHER DROPS BRAND NEW SON IN FRONT OF MEDICAL PROFESSIONALS. The fear was no longer front and center, instantly replaced with a protective instinct ten times as powerful – and that’s when I truly felt like a dad. Our first son is 13 and ready to start high school this fall. I know I can’t be with him at all times – even though that protective instinct tells me I need to be. I love seeing him laugh with his friends and play trombone in the school band. I love watching him at track meets and hear him still goof around with his 10 year old brother (even though he’s sometimes “too cool” for that). I have found my balance of letting him find his own failure and success. He learns from both. 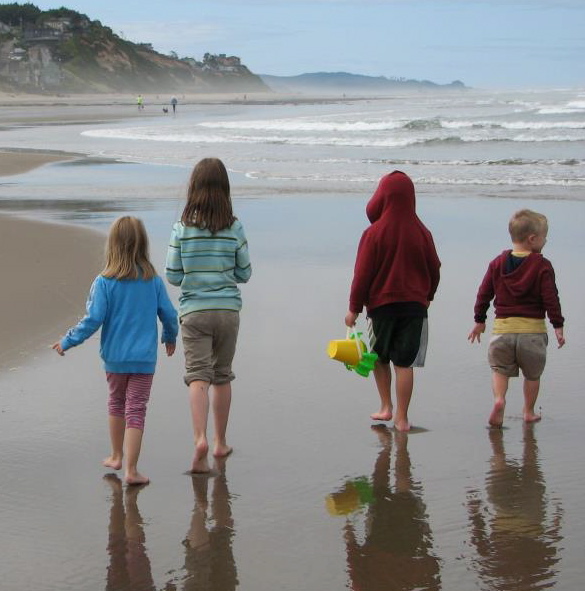 Kindermusik Educator Cathy Portele provides a list of fun-filled Father’s Day ideas. Check our her blog post here. Reader’s Digest gives us a great collection of activities for just about every type of dad – Amusement Park Dad, Golf Dad, Camping Dad – the list goes on! This is one of the most special crafts I’ve ever seen. I have done this for my mother and my wife – and when it was done for me, I got that big lump in my throat when you have “all the feels.” It’s simple and highly personal. On the sheet of paper, write (or print out using a computer) a list of special memories or thoughts…”Remember I love you, Dad!…”Remember that day at the park with the puppies”…”Remember our trip to the zoo when the giraffe ate your hat!”…anything that has meaning for Dad. Cut the memories into individual slips, roll them around a pencil to curl them up, and place them in the box. You can paint the box if you like – maybe even label it “Memory Box.” As time passes, you can add new memories. 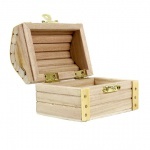 Sometimes if I’ve had a stressful day, I open up my Memory Box – instant smiles! The classic gift in customizable paper form! The folks over at Kid’s Craft Room provide instructions to create a special, one-of-a-kind tie for Dad. Check it out here. 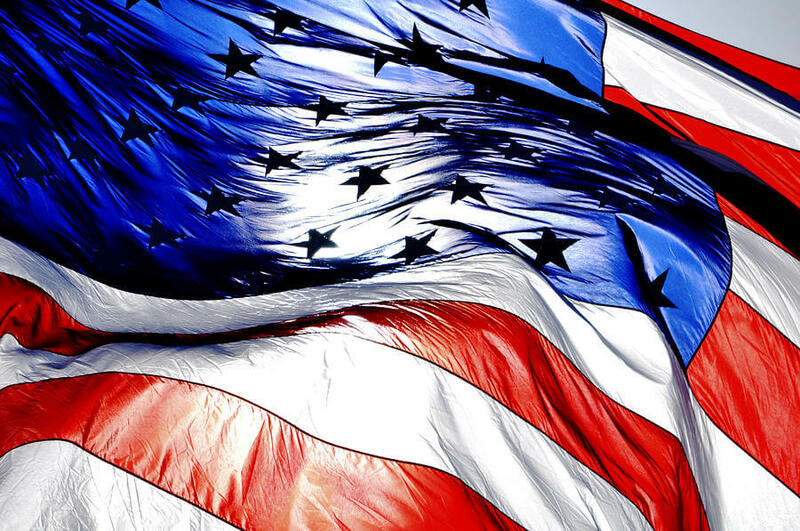 [vc_row][vc_column][vc_column_text]I remember a certain Flag Day just a few years ago; it sticks in my memory as a parent. 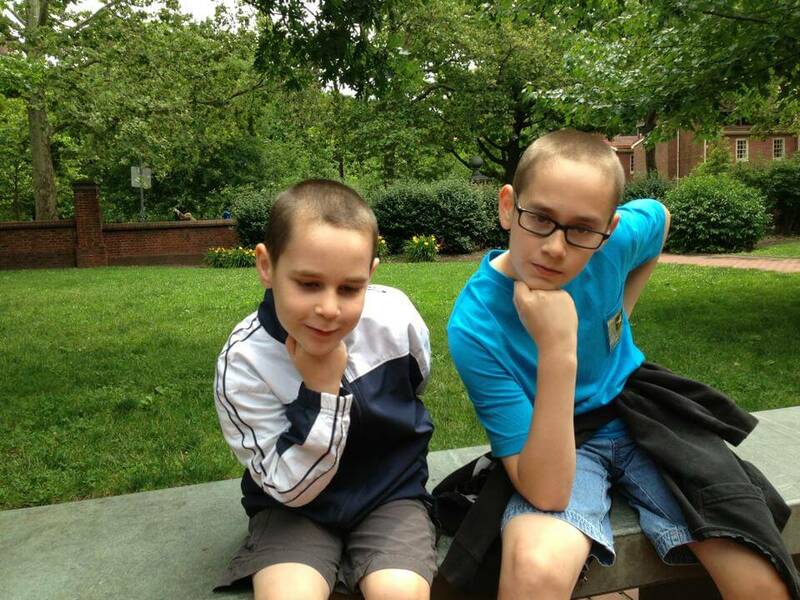 My sons and I were taking in the sights at Independence Mall in Philadelphia. This area is packed full will history – amazing buildings, incredible statues and, of course, the Liberty Bell. This day, as we looked up to see a skydiver floating down toward the Mall with a giant American Flag flowing behind him, my oldest (10 at the time) turned to me and said, “I think I’m done calling you Daddy. 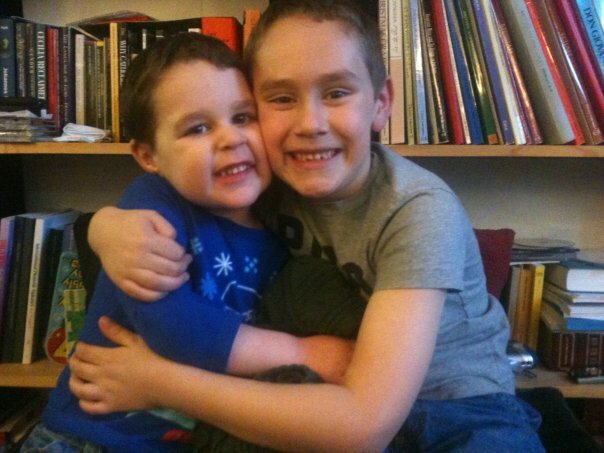 I’m going to call you Dad from now on.” His seven year old brother dutifully followed suit. This is what I always remember on Flag Day – that our little ones grow up, seemingly instantaneous, and in this moment, literally with a big leap all at once! Speaking of music, have you ever thought about the lyrics to Yankee Doodle and what they actually mean? 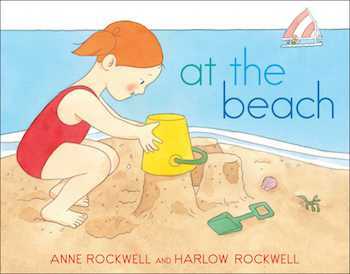 You could spend some time with your little ones learning about these comical words. As it turns out, they reflect a great deal more about the American spirit than you might think. The story dates back to the before Revolution and the tune was sung by the British and Colonists alike. The British sang the song to mock the colonists and their rag-tag appearance. So what did we do? We made the song our own! In fact, it’s the official state song of Connecticut. 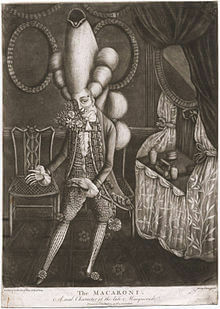 This last line of the verse implies that the Yanks had no sense of culture and that by simply placing a feather in his hat, he had a fancy “macaroni” style wig – which was an outrageous hair piece normally seen in 18th century England – worn by men who, according to one contemporary source, “exceeded the ordinary bounds of fashion” in dress, manner, and speech. 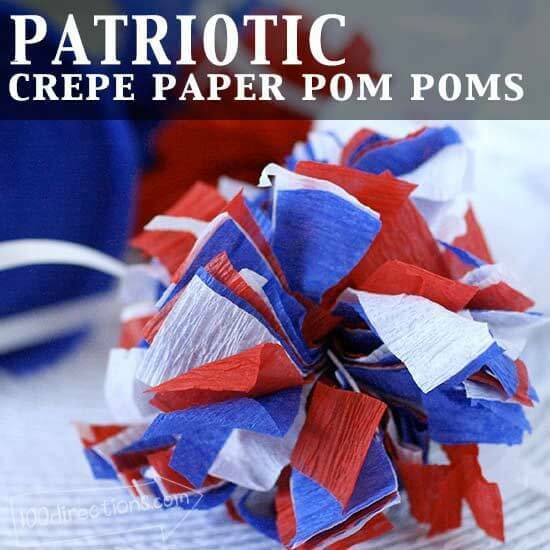 Check out these simple patriotic crepe paper pom poms over at 100Directions.com. Easy to make, they’re a fun way to dress up a room for the holiday, and it’s a craft activity that you can share with the whole family! [/vc_column_text][vc_column_text]Watch the babies’ faces in this video. 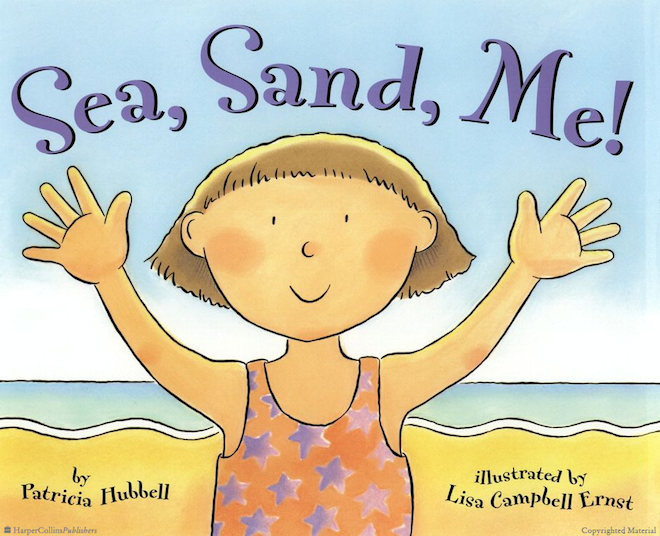 For very young children, “vocal play” isn’t about call-and-response or sound-and-echo; it’s about watching and listening, absorbing all that’s going on around them, and working hard to match up what they see with what they hear and feel. You can see the deep focus on some babies’ faces as they watch the mouths making the sounds. Remember: Patience, always beautiful patience with babies, as every sense receptor is “on,” and sifting through all that input takes time. 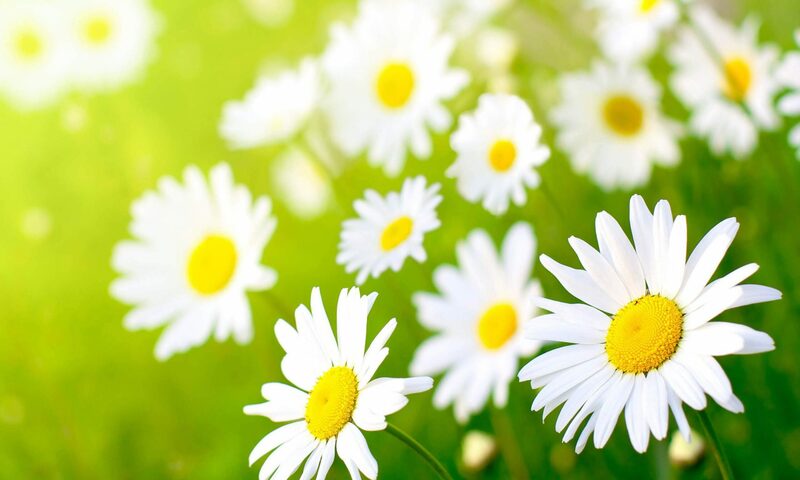 [/vc_column_text][vc_separator color=”green”][vc_column_text]There’s nothing like a little music – and a little together time – to make every day a little brighter! We are capable of singing two pitches at once. Let me say that again: the human voice is capable of producing two distinct pitches at once. This is called overtone singing. Now – before I blow your mind with some pretty mazing video, let me give you a basic explanation of what overtones are. Within any pitch produced, there is a series of overtones. When I sing a note, there are actually a host of notes that make up the composite sound you are hearing. By manipulating the space inside your mouth, you can cause specific overtones to be heightened and easily perceived. I know…it sounds crazy. Check out this guy singing Amazing Grace with overtones:[/vc_column_text][vc_video link=”https://www.youtube.com/watch?v=kFWYSW4vfcA”][vc_column_text]I promise, that is actually him. He is clearly producing two pitches at once – a drone pitch that stays the same and the changing whistle pitches above. So this guy produces a static bottom pitch and is able to heighten any of the pitches in that static pitches’s overtone series. I won’t bore you with what those pitches are, but it is always a specific set relating to that bottom pitch produced. What would happen if you changed the bottom pitch? Well, you’d have access to another set of overtones. Well guess what? There is a guy in Texas named Stuart Hinds who has training himself to change the bottom pitch while also being able to hit any note in the overtone set at will. This takes INCREDIBLE control. The result of this training? Mr. Hinds is able to sing in a round WITH HIMSELF! I promise, what you are about to see and hear is only one person singing. You will see a spectrogram, a visual representation of sound over time. 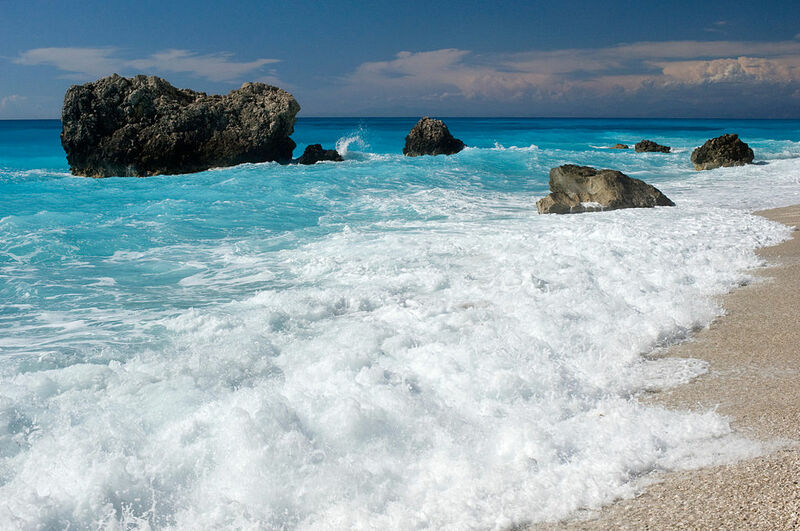 The very bottom stream is the main, bottom pitch that Mr. Hinds sings. You’ll then see the overtones he wants to highlight as the very top stream of notes. Take a listen:[/vc_column_text][vc_video link=”https://www.youtube.com/watch?v=aU5rtkO6CX8″][vc_column_text]Once again, I know it seems impossible, but those whistle tones are actually being produced by Mr. Hinds’s voice and only Mr. Hinds’s voice. There is no manipulation here. Once voice, two pitches. Pretty amazing. For me, the most amazing thing about this is the capacity of the human voice. The variety is staggering. We can listen to a rock singer, a folk singer, or an opera singer. We can enjoy R&B and Country. Rap, Pop, Ska, and Jazz – the list never ends – all from the human voice. And think about this as you listen to all of this singing: a child that experiences music on a regular basis will have a deeper appreciation for music throughout her or his life. 1. Always know what’s going on around you. 2. Always know how my choices affect other people. [/vc_column_text][vc_column_text]While walking down the main village street, the sister saw a woman carrying food back from the market. She always made time to take in her surroundings. This time, she saw the woman trip and drop the basket of food. “I should help her,” the Sister thought. “I know the woman would be glad to have an extra set of hands.”[/vc_column_text][vc_column_text]And so it went. The Siblings did their best to know what was going on around them and to always think about how their choices would affect others. And that’s just what they did. The Brother and Sister knew that with this type of Dragon – no fire and smoke to worry about, just some poor choices – they show him the way. While the Dragon was busy using the candlestick maker’s curtains to blow his nose, the Brother walked up politely and sat on a tree stump. “What do you want?” asked the Dragon, as he sneezed into the brand new curtains. The Brother, knowing Dragons liked music, sang him a little song (that sounded strangely like Twinkle Twinkle). Those curtains need to be thrown out. Leave the curtains in the breeze. And your friends will all rejoice! 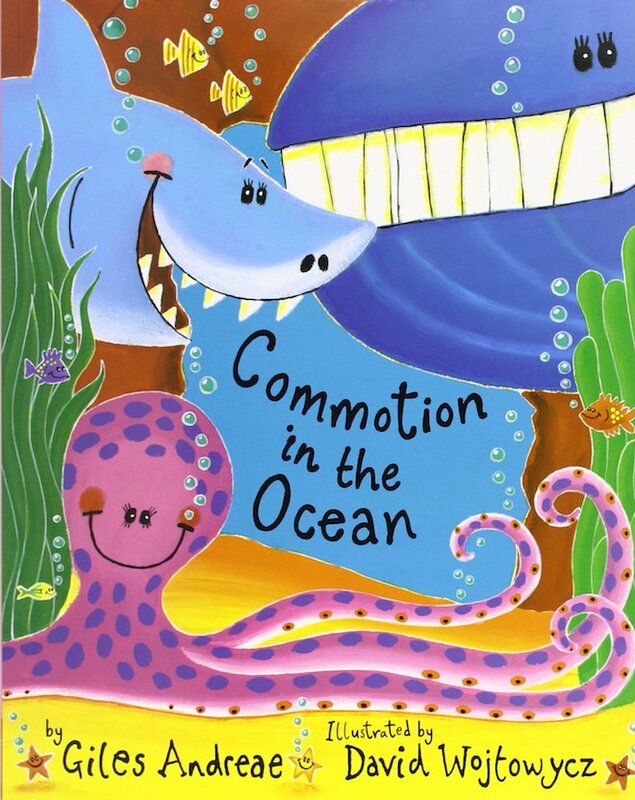 [/vc_column_text][vc_column_text]As the Brother sang, the Dragon smiled and slowly put down the Candlestick Maker’s curtains (a bit worse for wear). “I never thought of it that way!” said the Dragon, as he absentmindedly almost sat on the Blacksmith’s roof. “No! No!” shouted the Sister. The Dragon froze and the Sister began to sing to the Dragon (a tune that oddly resembled Pop Goes the Weasel). Please check if it is clear, sir! Think of your career, sir! “Well, I’m in between jobs at the moment, but I get your point,” chuckled the Dragon – and he stood up just before crushing the Blacksmith’s roof. “Where did you learn to think about others and make good choices?” asked the Dragon. He was amazed at the music and message of these two young siblings. “Incredible!” said the Dragon. [/vc_column_text][vc_column_text]With that, the Brother, the Sister, and the Dragon, went out to the jousting field for a picnic, to sing songs, and use tissues whenever they sneezed.